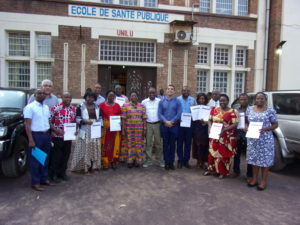 The National School of Public Health (ENSP, Rabat, Morocco) is sharing its expertise in scientific writing (http://ensp.sante.gov.ma/Pages/Accueil.aspx) with the School of Public Health in Lubumbashi ( ESP Unilu),http://www.unilu.ac.cd/?page_id=2689 Democratic Republic of Congo. Two researchers from the ENSP, Rabat (Dr Zakaria Belrhiti and Dr Chrifi Hassan animated Six (6) days highly intensive training workshop between the 19thand the 25Th April 2018at the ESP Unilu.This activity is organized by RIPSEC a programfunded by the European Union https://ripsec.org/.. This workshop aimed at developing core scientific competencies of 14 early career researchers (1) in scientific writing of qualitative, mixed method research and literature reviews (2) Managing bibliographic references. 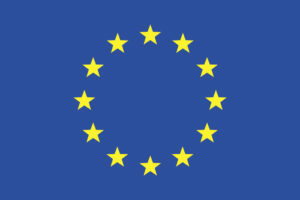 Teaching aimed at offering participants with broad range of standardized reporting guidelines. It was also an opportunity to sensitize participants to the importance and diversity of qualitative research and mixed methods research in policy making and evidence informed policy making Lecturers introduced shared with participants specific reporting guidelines for qualitatives research as well as tips to get their research published. This hands on training rely on highly participative action learning and mentorship. Participants will benefit from follow up mentorship sessions in order to submit their research to international peer review journals. This workshop was also an opportunity to consolidate South-South collaboration between Moroccan and Congolese Schools of Public health that may be sustained beyond the RIPSEC Framework. Representatives from both institutions discussed common research and training agenda that may be institutionalized in the future. Efficacité de l’option thérapeutique B+ dans la zone de Kisanga.